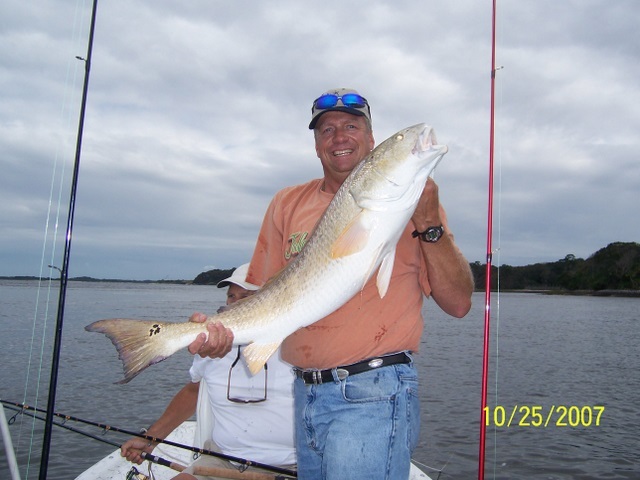 Nice Red (25-30lbs) caught by Scott Taylor yesterday aboard the Kat-Man-Tay II/2. Also a nice catch of large croaker. Large Reds are in the river now and the water is cooling off and the trout should start to show in the marsh soon.